Want to make money from your content? Wondering how a loyal audience can create business opportunities? To explore business models that help publishers generate revenue, I interview Joe Pulizzi. In this episode, I interview Joe Pulizzi, founder of the Content Marketing Institute and Content Marketing World. He’s written five books including Epic Content Marketing and Content Inc. His newest book is called Killing Marketing: How Innovative Businesses Are Turning Marketing Cost Into Profit. Joe explains how high-quality content can transform marketing from a cost center into a profit center. You’ll discover the different ways you can monetize your content. How to Generate Revenue With Your Content featuring insights from Joe Pulizzi on the Social Media Marketing podcast. Joe and co-author Robert Rose work mostly with large businesses. They’ve been seeing a trend where businesses are viewing marketing as a profit center rather than a cost center. Only a few companies are currently doing things this way. However, Joe believes that over the next 5 or 10 years, marketing as a profit center will be the rule, not the exception. The premise of the book (and the philosophy) is to create trusted relationships with your audience and monetize that relationship by doing more than selling products. You can monetize your business in 10 different ways. Killing Marketing by Joe Pulizzi and Robert Rose. Joe says the biggest mistake people make with their marketing is they set up their marketing department wrong. They seek opportunities for the sales team and don’t see all of the potential in what their companies can be and sell. Any business that has lasted 10 or 15 years has evolved over time. Yes, selling products is important but you can’t lead product-first anymore. The only competitive advantage people have today is communication. Everything else can be duplicated. Marketers need to be refocusing on making markets and creating opportunities for organizations; however, many have lost sight of those objectives. When the focus is on people, not necessarily products, companies can sell all kinds of things they never thought about before. Listen to the show to discover how marketers typically view marketing. BabyCenter.com, owned by Johnson & Johnson, is one of the largest sites dedicated to mothers. Eight out of 10 mothers use the site, which is a stellar resource for research and development. Johnson & Johnson monetizes the site directly and launches new products from it. Red Bull Media House is judged as a profit center and media company. Although they’re the marketing arm of Red Bull (and want to sell more product), their revenue comes from advertising and content syndication. They package and sell their videos to companies like The New York Times and the Wall Street Journal. They also sell subscriptions (The Red Bulletin Magazine has two million subscribers). One of Joe’s favorite examples is Arrow Electronics, which is the 118th company on the Fortune 500 list. They’re like the Amazon.com for electronics equipment and they target electrical engineers. Two years ago, they went to Hearst and UBM (Content Marketing Institute’s parent company) and bought 51 media properties, including EE Product News. Now, Arrow Electronics is the largest media company in the electronics industry. Although the media division is a marketing arm for the company, the media division is also extremely profitable. Plus, it helps the company sell more products and services. 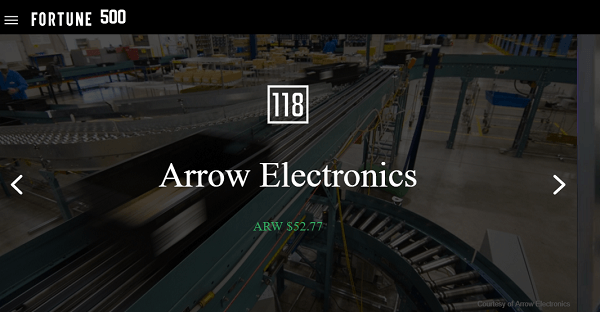 Arrow Electronics is #118 on the Fortune 500 list. In most cases, marketers simply target customers or prospects with the goal of getting them to buy. This approach is short-sighted. Instead, marketers should focus on building relationships with their audience, like the aforementioned example companies. After you have a loyal audience, selling products to them becomes quite easy. For example, BabyCenter sells baby food and other baby-related products. Arrow Electronics has a custom content team that creates content for their direct competitors because Arrow has an audience that their competitors want to reach. Although not every company can or will do everything that a big company like Arrow Electronics does, consider how your audience can change your business model. Whatever you sell or whatever the size of your company, don’t look only at the customer list or prospect list. Look at your audience and the value of that audience. If you build a trusting relationship with that audience, you can monetize it; in some cases, in up to 10 different ways. Joe also mentions smaller examples. Ann Reardon, known as the baking queen of Sydney, Australia, has an amazing YouTube channel. She focuses on unbelievable recipes such as an Instagram cake or a giant Snickers cake. She has more than three million subscribers and monetizes her content through merchandise, sponsorships, and advertising from YouTube. Ann started the site with her husband, who now acts as her agent, and speaks around the world. Missouri Star Quilt Co. has hundreds of thousands of followers on their quilting YouTube channel. The company has become the largest employer in Hamilton, Missouri, and the Disney World for quilting. Visitors come to buy quilts and meet the founder. The company monetizes their YouTube channel through advertising and selling products. That’s the power of having an audience. Most people don’t have the patience to do all this. As you build your audience, you need to focus on one channel, one audience, and one content type at a time. After you do that, you have these possibilities for revenue. Listen to the show to learn how Social Media Examiner is also an example. Content Marketing Institute (CMI) began as a matching service. They connected brands looking for content marketing services with agencies and journalists providing those services. By fall 2009, even though CMI had matched more than 1,000 companies, the financial model wasn’t working. Joe, who had left a six-figure position at Penton Media, thought he would have to find a new job. A couple of weeks later, Joe started to look at the emails from his audience (they had a newsletter and a blog on content marketing). CMI’s audience said several things. They wished there was an in-person event so they could get to know others who were struggling with content marketing issues, as well as a print magazine. They also requested CMI build the community and offer training and advising. Even though Joe’s audience was paying attention to his content, they couldn’t buy what he was offering. Although Joe was focused on selling his matching product, his audience was asking for different things. Joe decided to pivot and focus on what his audience needed. He set out to create three leading resources around content marketing: an online destination, an in-person event, and a print magazine. Joe looked to Content Marketing Institute’s audience to see what they wanted. Joe officially launched the blog in May 2010 and reached all three of his goals in 18 months. To begin, Joe sold an advanced sponsorship package. The package was limited to 10 sponsors that could support portions of the website. Those sponsorships brought in the initial revenue. In January 2011, the magazine launched and broke even on the first issue with print advertisements to companies. CMI sent the initial magazine to 20,000 qualified marketing professionals in their database. Then in September 2011, CMI launched Content Marketing World in Cleveland, Ohio. Joe was hoping 100 people would come, and they welcomed 660 attendees. The event was significantly profitable (which Joe didn’t expect). Content Marketing World started in September 2011. After the success of these initial efforts, CMI continued to find other ways to monetize their audience. The next launch was educational webinars, which cost $20,000 to sponsor. CMI promotes the webinars to their audience and about 750 to 1,000 people sign up for every one. Then CMI launched Content Marketing University, a semester-type online training program that costs about $995 every session. In 2013, Joe and Robert started This Old Marketing podcast, and for each episode, they sell a sponsorship for $7,000 to $10,000. A couple of years ago, CMI purchased the Intelligent Content Conference, which takes place in March in Las Vegas. It’s a technical conference for larger enterprises. They have grown the event probably four-fold. They also bought and grew the Content Marketing Awards (formerly known as the Magnum Opus Awards), which is a significant profit center, too. CMI also sells direct emails and does consulting and advising, in-person training, road shows, and master classes. In all, they probably have 13 or 14 different ways that they generate revenue and profit for the organization. Listen to the show to discover when Joe and I met and how we have inspired each other. I ask Joe how you generate revenue after you establish your blog, podcast, YouTube channel, or other publishing outlet. Joe says that after you build a loyal audience in a specific niche, there are 10 different revenue opportunities. Traditional companies generally think about only some of those opportunities such as selling products or services, keeping customers longer, increasing their yield, or selling different products. However, when you also think like a media company, there are five additional media-type revenue-generating activities. For example, you can sell advertising on your site, create a sponsorship deal, launch a conference or event, or sell premium content. With Digital Photography School, Darren Rowse created a multimillion-dollar site by selling ebooks, courses, and post-processing presets to photography enthusiasts. 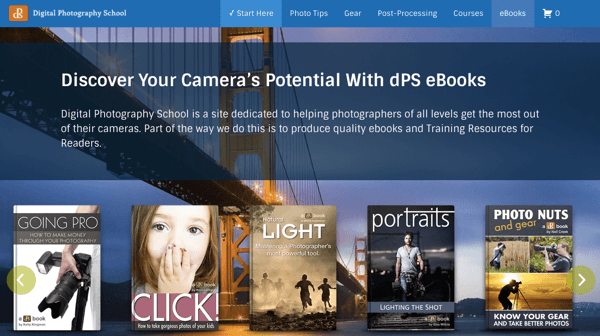 Digital Photography School generates revenue by selling courses and ebooks. If your audience loves you so much and you can’t figure out a way to generate revenue, ask for donations. ProPublica, an independent news site focused on investigative journalism, generates some of its revenue from donations from people who want to keep it going. People donate to Charity Water because their stories are so good. You can also sell an ongoing subscription to content, just as CMI sells a subscription to their training program and we have the Social Media Marketing Society. 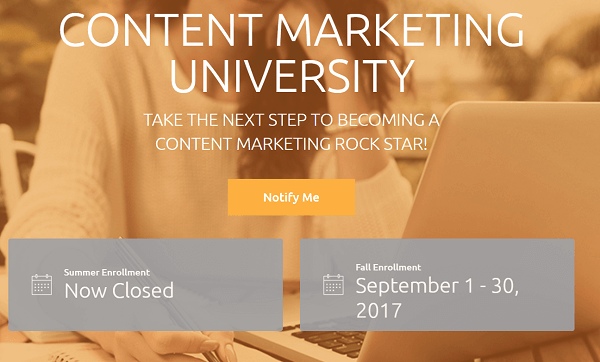 Create a subscription or training program like Content Marketing University. I ask how people can begin using Joe’s model without becoming overwhelmed by all of these ways to monetize content. Joe advises that you don’t do everything at once. Try one revenue model every six months and start with the lowest-hanging fruit. That’s generally some type of sponsorship. To get a sponsorship, you first need to have a decent audience size. For example, Joe took about two years to grow his list to 10,000 people before he started to monetize. When you’re ready to look for a sponsor who wants to reach your audience, do a Google search on the keywords that fit your audience to find people who are buying pay-per-click advertising or those in your niche doing promoted posts on Facebook. Then put together a sponsorship package. After you start advertising sponsorships, look to your audience for the next thing. Talk to them. Read their emails. Figure out what’s missing in your industry. Is there a gap for an event of some kind? Is there a gap where people would pay for premium content in a subscription or ebook? Is there an opportunity to ultimately sell a product or service because your audience loves you so much? People wondered how BuzzFeed was going to monetize because it’s hard to sell advertising. They launched Tasty, which has Facebook videos that hundreds of millions of people watch. Tasty created a custom cookbook and sold more than 100,000 copies in the first three months. Tasty is now launching One Top, a hot plate you can hook up to your phone. This company knows their audience. BuzzFeed-owned Tasty sells a custom cookbook. Joe suggests aiming for a field goal. Don’t go for the touchdown yet. Then after you start one goal, you can go on to the next one and the next one. Before you know it, you have four or five revenue streams and you’re a multimillion-dollar company. Listen to the show to hear how Joe’s approach is much easier to scale than creating a blog to support speaking and book sales. Premium content is packaging your content for sale. CMI packages the content from their master classes and their advising into the training course they sell for $995. The profit margin is around 95% because CMI has already spent the money necessary to create the content. Joe says you could probably go to 37 different places on the web and download many different parts of CMI’s $995 training course. However, CMI makes the course worthwhile by organizing all of that content into a nice package, providing a format that makes the training easy to follow, and including some tests and a certificate at the end. The package saves people a lot of time. If you have an amazing 12 blog post series on something no one else in the industry is covering, package the series and sell it so people can get all of the information without having to search for it. You could turn that content into an audio course, a video course, even a book. There are all kinds of ways people would pay for this content. Alternatively, while John Lee Dumas of Entrepreneur on Fire makes money via affiliate links, he also has a webinar program and premium content deals where he meets with regular subscribers on a monthly call. He has all kinds of things going and shares his monthly income. Joe remembers Bob Bly saying that your best content is your free content. If your free content isn’t amazing, people won’t pay for anything else. Joe stresses that you have to show your loyal viewers or readers who enjoy your free content why they might pay for your premium content. Listen to the show to learn how Killing Marketing can help solve several marketing problems. Fontjoy is a website that helps you discover complementary fonts for your design projects. Sometimes, multiple fonts in a quote graphic, blog design, or other online project add extra appeal to the final design. The fonts can make separate ideas or elements distinct. For example, in a pull quote, you might use one font for the quote and another for the source. However, for the fonts to work together well, they typically follow core design principles regarding symmetry and contrast. 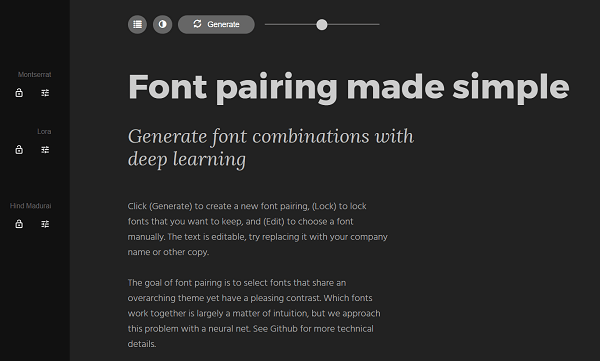 If you’re not a font-pairing expert, Fontjoy.com can generate font pairings for you. Simply go to the website, move the slider to select a level of contrast, and click Generate. Try different font pairings with Fontjoy. Fontjoy gives you sample text for a headline, pull quote, and body text. Click any of the sections to type or paste your text into that section. Then move the slider to generate different font ideas. Once you find a font you like, look at the name (to the left), so you can search for and purchase it. Fontjoy is a free resource. Listen to the show to learn more and let us know how Fontjoy works for you. Learn more about Joe on his website. 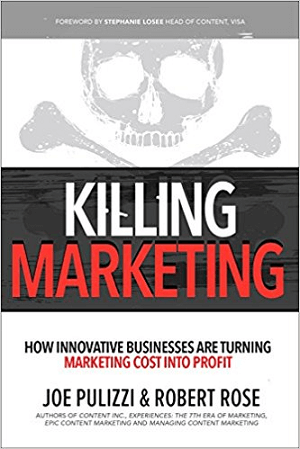 Read Killing Marketing: How Innovative Businesses Are Turning Marketing Cost Into Profit. Learn more about Content Marketing Institute, Content Marketing World, Content Marketing University, the This Old Marketing podcast, the Intelligent Content Conference, and the Content Marketing Awards. Read Epic Content Marketing and Content Inc.
Take a look at BabyCenter.com, Red Bull Media House, and The Red Bulletin Magazine. Explore Arrow Electronics (#118 on Fortune 500), Hearst, UBM (Content Marketing Institute’s parent company), and EE Product News. Watch Ann Reardon’s YouTube channel with her Instagram cake and giant Snickers cake. Check out Missouri Star Quilt Co. and their YouTube channel. Explore Digital Photography School, ProPublica, and Charity Water. Take a look at BuzzFeed, as well as Tasty’s Facebook videos, custom cookbook, and One Top hot plate. Learn more about Entrepreneur on Fire and John Lee Dumas’ income streams. What do you think? 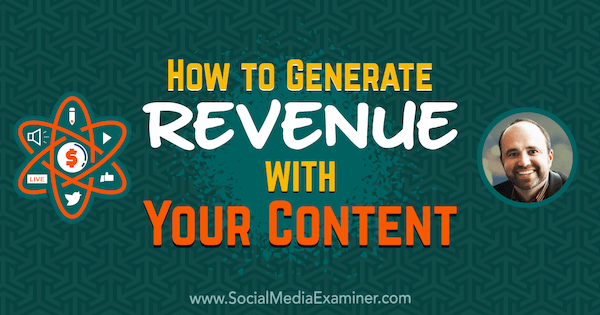 What are your thoughts on generating revenue with your content? Please leave your comments below.